Hello dearies! How's your weekend? I received an email from J Model Management and they're inviting me to watch the fashion show in New York City! Yesssss! Sounds good to be true but unfortunately I'm not going. There's a lot of things to consider specially transportation and lodging expenses and it's hard to get a US Visa :( I do hope someday, in the near future, maybe I'll be there to watch one of her shows. But for now, I'm happy that through this blog I am able to share with you the stories of the past and recent fashion shows organized by J Model management that Jessica Minh Anh founded. Here she is again, making another milestone by showcasing another catwalk at America's tallest building. I'm sure this fashion show will be make another history in the world of fashion. So without further ado, here's the story of J Summer Fashion Show on June 25, 2014 at the One World Trade Center, New York City. Click CONTINUE READING and see more of the upcoming show's highlights! Global fashion sensation Jessica Minh Anh is set to turn America’s tallest building, One World Trade Center in New York City, into a multicultural style destination on 25 June 2014. The highly anticipated J Summer Fashion Show will be the first ever catwalk in the most iconic architectural marvel in the Western Hemisphere and will be set to make history before the building is even officially opened, signaling Jessica’s sixth history making showcase around the world in just three years. The young model turned entrepreneur will stage the high profile catwalk on the 63rd floor at sunset. Thanks to the crystal clear glass panels that surround the tower, New York’s famous skyline will become the natural backdrop to the phenomenal showcase. Combining beauty and cultures from across the globe in this world renowned location, Jessica’s Summer Fashion Show 2014 will bring together an exquisite combination of Haute Couture, high end Ready-to-Wear and active wear collections from 10 countries over 4 continents. Designers from across the world have created their pieces especially for this historically significant location. It has been confirmed that J Summer Fashion Show 2014 will include Jessica’s favourite designer Ziad Nakad. The Lebanese Haute Couture designer will bring class and femininity to the grand catwalk with the message of cultural integration. Indian power house Libas Riyaz and Reshma Gangji have created an exclusive line for the One World Trade Center catwalk which portraits strength, appreciation, and peace using bold colors and traditional materials. Joining them is Peru’s top fashion designer and public figure Norka Peralta, whose timeless designs mirror women’s endurance and individuality. Another designer whose collection is inspired by the venue and American culture is Spanish innovative brand Chula. South East Asian representative HAY UNITED from Indonesia is ready to spice up the catwalk with a chic and youthful collection to promote a bright tomorrow. Jessica Minh Anh will reveal the rest of participating designers from five other countries including the United States closer to the show. The young director of J Model Management has previously worked with sought after designers such as British fashion leader Paul Costelloe, Japanese luxury brand Yumi Katsura, Dutch celebrity designer Addy van den Krommnacker, and Taiwanese fashion sensation Shiatzy Chen among many others. J Summer Fashion Show 2014 will welcome on the red carpet the most influential faces in various industries from ambassadors and members of government, to business leaders and national and international press. 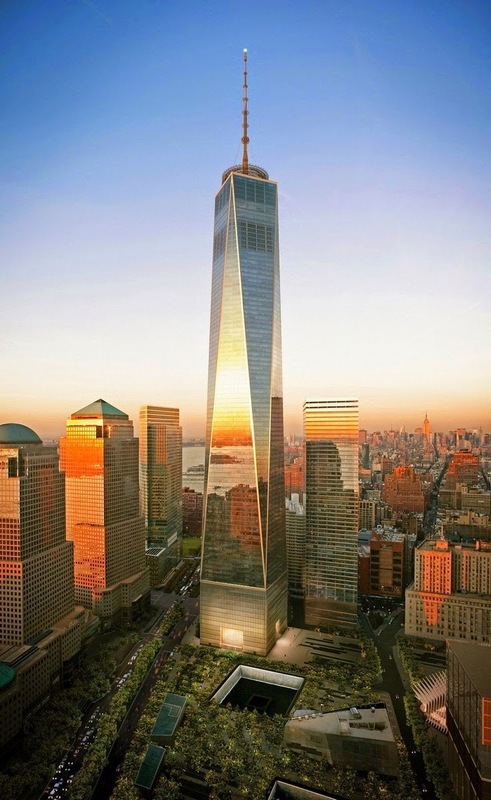 Invited guests will have get a sneak peak of One World Trade Center before its official opening at the end of 2014. As a result, J Summer Fashion Show VIP invitations will be strictly controlled and highly limited. On her decision to select America’s newest landmark as the official venue of the show, Jessica Minh Anh said “One World Trade Center represents determination, innovation, and ambition, which are all the qualities I stand for as a young entrepreneur. I cannot think of a better place or time to celebrate positivity and talent. It is important to remind people that you can always rise higher.” This principle seems to be consistently reflected in Jessica Minh Anh’s many international catwalks as she continues to reach new heights and claim the sky. 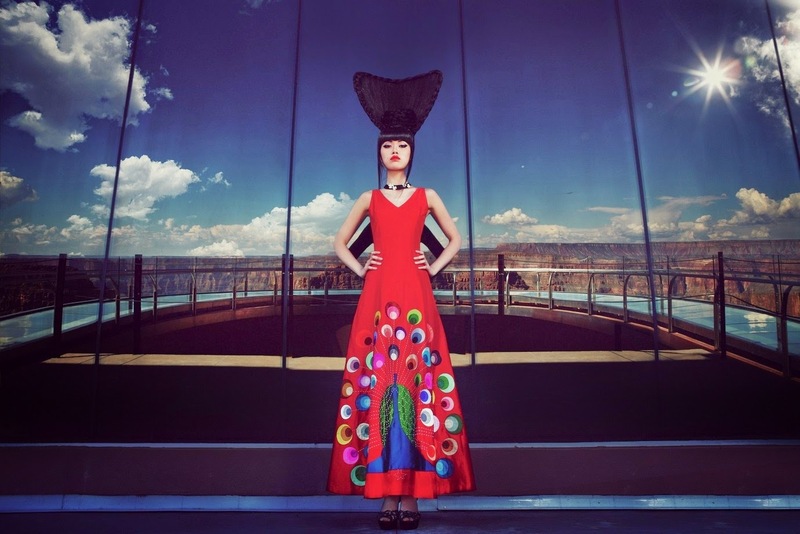 Prior to hosting the world’s highest fashion show on the Grand Canyon Skywalk at 4,000 feet above the Colorado River in 2013, Jessica Minh Anh hosted London’s Tower Bridge and PETRONAS Twin Towers’ Skybridge fashion phenomenon at 44 and 175 meter high meters respectively. The official pre-show fashion spread and promotional video will be produced in the 3rd week of May 2014 at the One World Trade Center. For more information about the show, please visit www.jmodelmanagement.co.uk and www.facebook.com/jmodelmanagement. Model, entrepreneur and founder of J Model Management, Jessica Minh Anh first made history when she famously turned England’s iconic London’s Tower Bridge into the world’s newest catwalk at 44 meters above the Thames in 2011. With a vision which goes beyond imagination, Jessica has consistently made her marks around the world in just 3 short years by hosting fashion phenomena at the most extraordinary venues such as PETRONAS Twin Towers’ Skybridge in Kuala Lumpur, Gardens by the Bay’s Skyway in Singapore, Costa Atlantica in Dubai, and the Seine in Paris. In 2013, Jessica Minh Anh raised her profile to the sky with the world’s highest and most unconventional catwalk at 4000 feet on the Grand Canyon Skywalk. She was named ‘Global Fashion Mover and Shaker’ by Marie Claire, ‘Leader of the new generation of self-made entrepreneurs’ by Le Nouvel Observateur, and ‘Style Icon’ by Canale 5 Italia among many others. Besides her exotic beauty and exceptional talents, Jessica Minh Anh is known for her passion in nurturing the younger generation through her inspiring internship program and interactive entrepreneurial workshops. Having successfully built her media arms across 5 continents and professional connections within 15 industries, Jessica Minh Anh is no doubt the No 1 representative of the thriving new generation. At 1,776 feet tall, One World Trade Center is the tallest building in the Western Hemisphere. 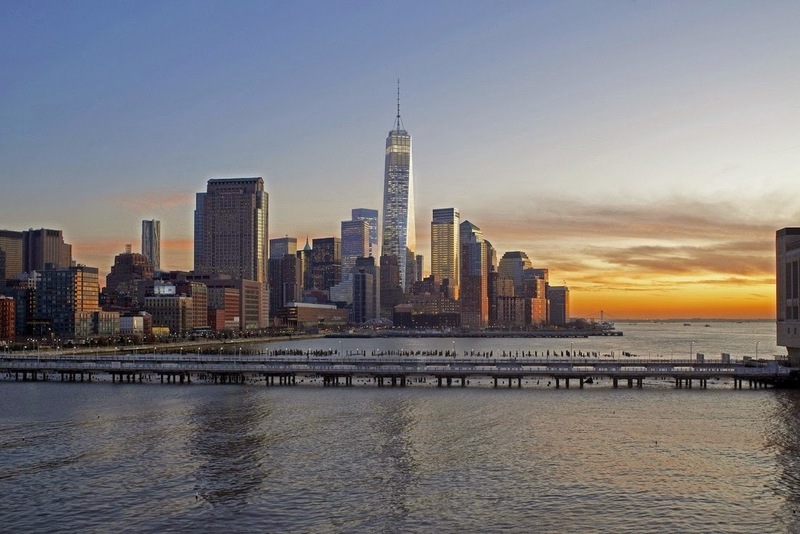 A joint venture by The Port Authority of New York and New Jersey and The Durst Organization, this building sets new standards of design, construction, and prestige, and heralds the renaissance of Downtown Manhattan. One World Trade Center is the newest icon of New York’s skyline and the most recognized and desirable office address in the world.